A week with the Pebble Steel. Prior to the announcement of the Apple Watch, I had little to no interest in wearables of any kind. The closest I came previously was a year-long dalliance with my Fitbit. Even today, I’m still not wholly convinced of the overall utility of wrist computing, but I’ve begun to think about it more seriously and as such wanted to dip into the current market so I’d have a way to make a comparison when the Apple Watch does finally arrive. I’ll quickly address the hardware itself. The Steel is a nice watch, but I always have issues with metal watches with leather bands that are waterproof. I realize the casing can take it, but who wants to get leather wet? And I’m far too lazy to spend the time treating and waterproofing the stock band. It’s just not that nice. The black leather that comes standard is less than stellar, and I immediately replaced it with this, which is a vast improvement and feels more like one of my beloved G-Shocks. I know there’s a steel band you can buy as well, but it also looked sort of lackluster and I wanted something that felt more sporty. The Shank is a great product, and I’m really enjoying it. Now I don’t care if the watch gets wet because it’s metal and silicone and feels more durable as a result, even if it’s all in my head. I think Pebble should have offered a band like this themselves, as it still feels high end, but adds a resilience to the overall design. On wrist-based computing: The first day I wasn’t convinced this was for me. Little stuff like controlling music/podcast playback is nice, but my best use case so far was viewing a shopping list on my wrist in the zoo that was Whole Foods on the day before Thanksgiving. That was actually super convenient, especially now that I have the 6 Plus. So I think a device that can do more than this (e.g. respond in some way to notifications) could be useful in a hands-free scenario. On notifications: A bunch of buzzes on my wrist, telling me all kinds of things happening on my phone that I found I mostly didn’t care about. A little tweaking of settings, and I can definitely see the value of having little blips here and there when you don’t want to or can’t take your phone out of your pocket. I’ve always kept a lean notification profile on my phone, but I trimmed it down to only the stuff I want to see on my wrist and it’s pretty useful. Calls, messages, support tickets for Stringer, and only a few more things are what make it to the watch, and it’s working out pretty well. On the Pebble experience/apps: Most of the “apps” that I found in the Pebble ecosystem were pretty goofy. Proof of concept stuff, things that overreach with what the watch can actually do, etc. There are some interesting things happening, but overall it feels pretty half-baked. Speaking of which, the Pebble app on iOS is an abomination. I think it’s just a wrapper for a web app, and it performs horribly, with a high percentage of your taps not registering, the app freezing, and you generally just losing interest in the whole process. When you actually install something, it’s a fairly janky process, the settings for the apps are stored in web pages on the phone with varying functionality and complexity, and you can only manage eight slots on the watch at any given time. It’s… less than ideal. Understanding that you need the phone to do anything with the watch, it’s really disappointing how terrible it feels. It’s also (as of this post) still not optimized for the new iPhones, which is really annoying, but that’s just me being petty, I suppose. Still. All that said, I’m a believer in having something on my wrist to use this way. I wasn’t just over a week ago, and now I am. So I can thank the Pebble Steel for getting me on board with the concept. I thought the Apple Watch looked cool when it was introduced, but I was skeptical as to whether or not it was for me. I think it definitely is, and the Pebble’s just made me look forward to it more. For all my criticism, I am actually enjoying the Steel, and I’ll continue to wear it and use it until I can upgrade this satellite experience next year. 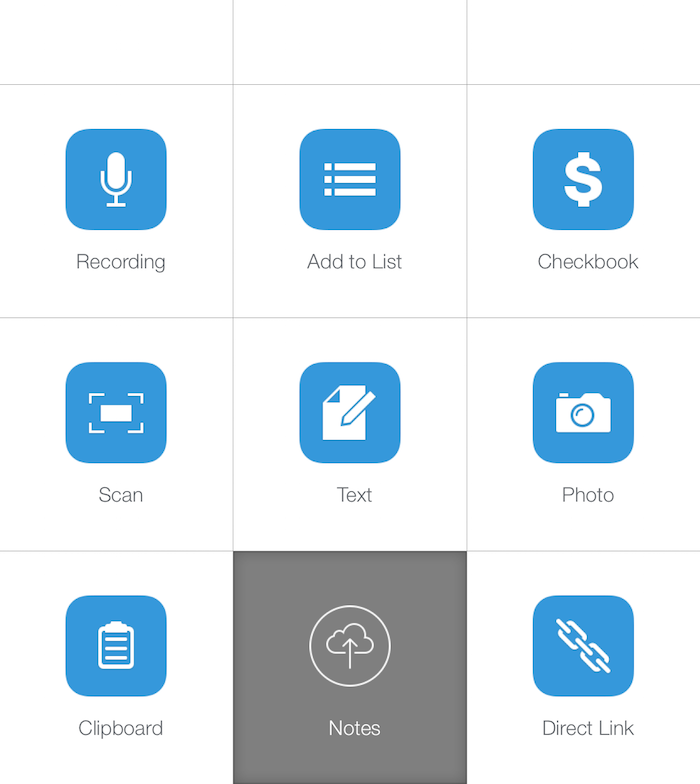 Moving from Evernote to Dropbox. On this week’s Connected, there was a hearty discussion about some choices that Evernote is making with its product, namely the addition of “Context”. Offered as a Premium feature, the goal of Context is to surface additional useful information to the user as a note is being created, viewed, or modified. Stephen voiced some very reasonable concerns about the direction in which Evernote seems to be moving, and how this type of feature can feel intrusive. In the absence of more information, Federico shared some of those sentiments, while Myke argued on the side of the business, namely that it’s a seemingly innocuous change that we could have expected this company to have made to increase its viability at some point (and everyone marveled that Google hasn’t done this yet). I don’t know all the facts about Evernote’s investors and fiscal plans, but even before this, I was considering moving away from it for different reasons. First, let me start by saying I have been an Evernote user since 2008. I am a Premium subscriber. I love the service. I love Phil Libin’s focused and honest approach to the company. I love that it works almost all the freaking time, even when I do something dumb that should have broken it. It’s truly great. But I’ve started to realize that it’s also in direct conflict with the way I want to think about, store, and access my information. I’ve never been a fan of GMail because I am an old-school IMAP guy. I like making folders, I like using folders, I like taking forethought and putting things in places. I don’t like the “leave everything in the inbox and just search” mentality. It’s never worked for me. 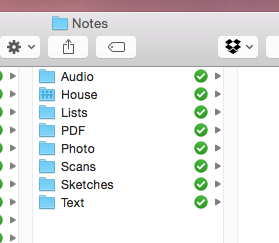 And while Evernote allows you to create notebooks and stacks of notebooks around those, I found myself dumping voluminous amounts of information into it, organizing it, and still not really having an idea where my stuff actually is. Luckily, its search is tremendous and I can usually find what I need. But it still didn’t feel right to me, the way my brain works. In addition to this, I have a long-standing affinity and love for plain text. But I also take pictures of things. And scan documents. And create PDFs all the time. How will I find all this? How will I search and have it make meaningful sense? Where is my context? So I’m shifting gears. 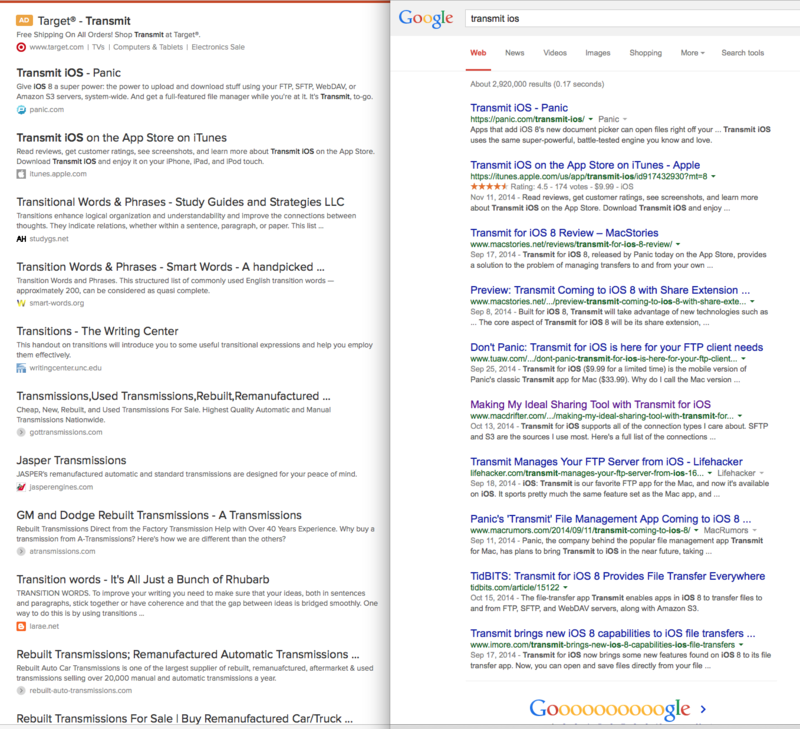 This week I manually created plain text copies of all my blog posts from this site. I wanted a local copy of everything, and I did some housecleaning while I did it. I used Editorial, because it was actually easier to do it–my hand to Federico–from the iPad with workflows than on the desktop. And yesterday I began migrating data out of Evernote, one note at a time. Audio is for any kind of aural snippet I might capture and not have a specific place for yet. This could include funny things my daughter says, a conversation, a song idea, whatever. 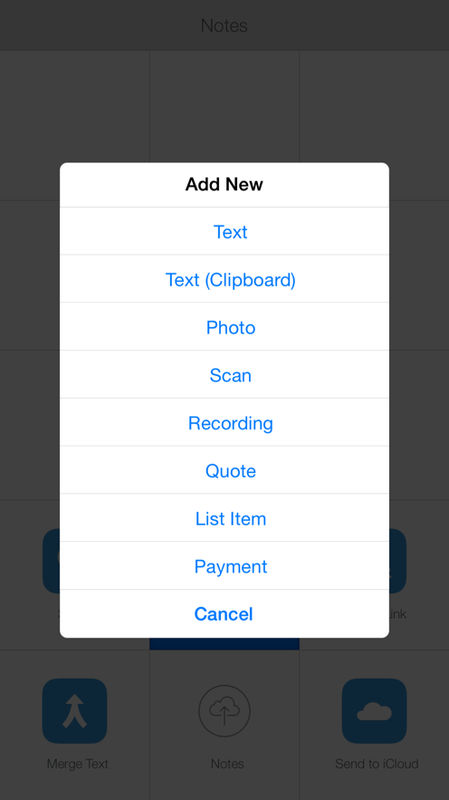 I have Dropvox set up on my iPhone to start recording the instant the app opens, and put its files directly here. House is a folder I share with my wife. In it are ideas for renovation, pictures of interiors and exteriors we like, and documents we both need access to. 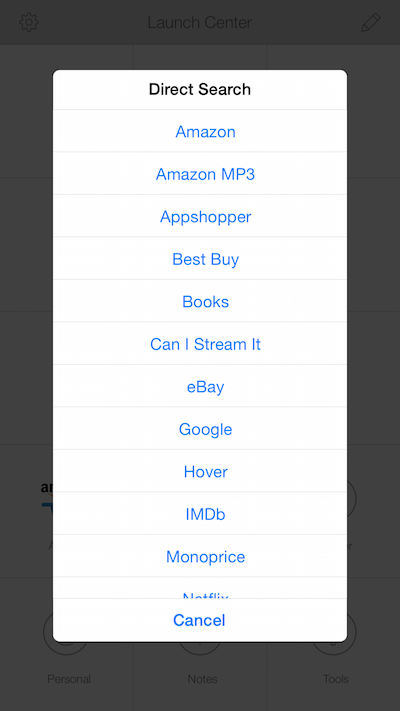 Lists is just casual stuff I want to keep track of: books to read, music to download, etc. Managed via Listacular on iOS. PDF is any file of that type that contains information I want quick access to, or that has no relative home elsewhere (say, in the “House” folder). Evernote allows you to convert notes to PDFs easily, so a lot of things in this folder are series of images that ended up as one PDF. Handy. Photo contains any kind of photo note I might grab with my phone. Wine we like, the type of paper towels I’m supposed to get, the back of my router. You get the idea. Scans is for anything grabbed via Scanbot, Scanner Pro, or my ScanSnap. Yes, these could probably live in PDF in most cases, but I like the idea of a separate folder, because I will almost certainly remember scanning something. I do it infrequently enough, although I want to start doing it more. And chances are these are “documents” as opposed to say, the very first issue of Nintendo Power that I have also stored as a PDF, in the PDF folder. Sketches: any hand-drawn notes via apps on iOS, using whatever app I feel like. And text is just the library of .txt files that make sense as straight up text. I’m using my longtime favorite nvALT on the desktop, and I found the incredible Jottings last night, which is as close to nvALT on the iPhone as I’ve seen yet. All my files are named in a readable natural fashion (Wine – Chianti – Birthday Party.jpg) so I can scan for what I want quickly. I use Alfred and Spotlight to find them instantly on my hard drive. I’d tried Alfred workflows for searching within Evernote, but they always felt kludgy and slower than a fast file system search. This feels good. They’re all pretty self-explanatory, and they’re working really well so far. “Checkbook” is a little prepend action so I can keep track of the handful of times I actually have to write a check, since I haven’t kept a proper checkbook in about a decade. And I can open the Dropbox app itself and browse all these files really easily. It’s great. So that’s pretty much it. I’m out of Evernote in less than 24 hours (about 550 notes) and I have an accessible, lightning fast, and extensible micro-file-system. The idea of having a tangible handle on my data, visibility into it, and the ability to move it easily (not to mention switch between apps that handle all these standard file types) is a breath of fresh air. Nothing against Evernote, I still think it’s great, but it was time for a change, and this feels like the right one for me. A few people on Twitter brought up the idea that I’d be losing rich features like annotation, notes with both text and images, etc. Not really. 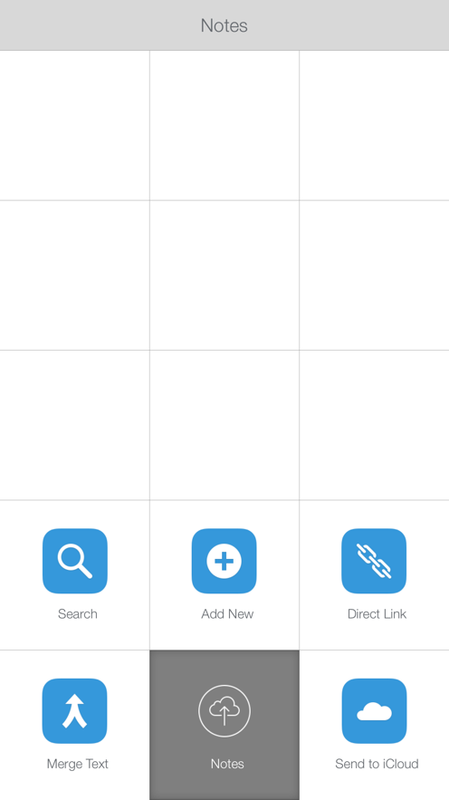 Notability has excellent Dropbox support and provides a variety of format export options. I have mine set up pointed to my PDF folder, saving in that format. Changes sync to the folder instantly. It’s pretty great. In using this system for almost two weeks, I’ve added other functionality and condensed some actions within LCP. My notes group has been augmented by a Drafts action to send text to iCloud Drive for quick access from the Mac (this is still in beta, hopefully coming to the App Store release soon! ), as well as with NoteBox. It’s a cool app that can merge bits of text together easily, which I learned about from this post on MacStories. Now instead of a bunch of individual icons, I get this nice menu when I need to perform an “add” action of any kind. Cleans things up nicely. Obviously, I’ll continue tweaking, maybe forever. Such is my curse. This is how it stands today. Entirely anecdotal findings on memory management in the iPhone 6 Plus. In the course of the month in which I’ve used my iPhone 6 Plus, I’ve noticed some behavior that I had attributed to the phone hardware itself. Being a “new” year, Apple will have taken some steps to create hardware that is of course refined in the following “S” year, strengthening the foundations it put in place with the new model. As adopters and followers of these cycles, many of us become intimately aware with the nuances of how the updates to the hardware affect our expectations. I have been enjoying the 6 Plus immensely, but I’ve found some limits to its abilities and I’m starting to suspect that while 1gb of RAM was really not enough to manage the phone and its massive screen, iOS is making some questionable choices (perhaps dependent on the hardware constraints) as to how it manages app use and memory flushes. It started to become obvious how aggressively the phone killed apps each time I launched the App Store. Previously on my iPhone 5 running iOS 8.0 and 8.0.1/8.0.2, I would routinely leave the App Store on the “Updates” tab and go about my business. Upon returning to the App Store some time later, I would find myself in that tab, and the content would refresh. It started to annoy me, but I assumed it was a new behavior with the App Store app, potentially to drive users to the “Featured” tab for any number of reasons. But I started seeing it as I moved across other apps too. Moving between apps that, to my knowledge, almost never got flushed. I was starting to see an app like Mail (which I am in constantly, and should always be retained in memory) open up fresh as I returned to it (i.e., not preserving my place in a message I was reading). The most notable and egregious instance of this happened one morning as I was checking my email in bed upon waking up, having done nothing with the phone for hours. I tapped a link, went to Safari, and when I returned to Mail, was sent back to the inbox as though it had launched cold. iOS is supposed to flush apps from memory after a period of not being used, or when absolutely necessary, not switching between two apps and returning. Something was definitely not right. Rogue process? Potentially, but I would assume that I’d also be seeing a sharp decline in battery longevity with something like that, and my battery is still incredible. iCloud backup process? It happens all the time, off wi-fi, unplugged. Doubtful. Background refresh issues? I toggled all apps off for background refresh and saw the same behavior. I did soft resets/reboots and hard ones. Didn’t seem to make any difference. My apps were constantly getting tossed out of memory. Someone suggested I download a system utility app to see how much memory was actually used/free, so I did. In fact, I downloaded three, to compare results and make sure one wasn’t skewed in one direction or another. All the apps said the same thing: even after a complete restart, my iPhone–before I’d even opened an app–had between 3–8% available memory. Interesting aside: this was brought up on Twitter, and verified by me and a few other people. Don’t know why it happens, but it’s bizarre. Try it and see. It doesn’t matter, because the phone chews up the free memory almost instantly anyway. And yes, random Twitter person who felt obliged to point out that I don’t know what I’m talking about, I understand UNIX manages caching differently. Thanks once again for the pleasant lesson about never sharing anything on the internet, ever. I assume this has something to do with the fact that the 6 Plus is constantly downsampling its graphics from 3x to 1920×1080 because of its unique screen, which would likely require resources to do those calculations all the time. Understanding this, I have to say this scenario is unfortunate and unpleasant. The phone is supposed to be this big productivity enhancing flagship, and it’s taking me longer to do things as I wait for apps to resume state. I’ve gotten reports from people saying that their iPhone 6 will do this, as well as iPhones 5, 5s, and 5c. Which turned my attention from the 6 Plus itself to iOS 8. Specifically 8.1, since I had an iPhone 5 running 8.0.x for a solid two weeks without any of these issues I’ve noted. The fact that the 6 Plus has only 1gb of RAM is an unfortunate truth we have to live with in the light of the insane beast that is the iPad Air 2, which, as you might guess, suffers from exactly none of these issues. Both devices run 8.1, so I was leaning toward it being a hardware issue (and specific to the 6 Plus), but the changes people noted in other models make me think it may be related to software. I honestly don’t know. I do know that having extra RAM seemingly mitigates this, and the iPhones 6 should have an extra gigabyte at this point. In light of all this, it’s disappointing that they don’t, as we’d probably never notice these potential software issues if the hardware could carry the load silently. It’s all anecdotal at this point (I’ve been busy and haven’t been really inclined to dig deeper), and I really hope that there are improvements to the way these devices feel as we use them that can come from software updates. It’s disappointing to me that my iPhone 5 felt more usable in this regard than this massive hardware upgrade I yearned for. That said, a few people have asked me if I’d recommend the device at this point. I still enjoy it immensely, even with these current shortcomings, and I would say it’s one of the most interesting iOS devices I’ve used. If this is something that can be resolved through software optimization, my feelings would most likely be to wholeheartedly recommend it. If not, I’d still say that the phone is worth it alone for the battery life, which is positively otherworldly. If you’re having similar issues or feel like getting more technical than I’ve had the time to, let me know. I’m curious to hear other experiences with the 6 Plus. iPhone 6 Plus thin and light cases. I’ve discussed it on Twitter with a few other folks, but I figured for anyone who was even remotely curious who either missed the discussion or didn’t feel like digging through timelines, I’d put together a brief summary of the iPhone 6 Plus cases I’ve tried so far. Perhaps as I keep going, I’ll update this later too. I’m waiting on at least one more case to arrive, so there’ll be that evaluation coming soon. I’ll discuss them in order of acquisition. My criteria are simple: must feel good in the hand, have a reasonable amount of grip/texture (since I feel the iPhones 6 are surprisingly slippery in their naked state), be priced around or under $30 (I mean, let’s be reasonable, I’m buying multiple cases, I still need to look at myself in the mirror), and not be overly bulky. My goal is something that complements the 6 Plus and adds something without feeling like too much of a compromise, as in my heart of hearts, I’d want to use the device with nothing. And I have: prior to the 6 Plus, my 5 was caseless, and while I’ve dabbled in the past, all my other iPhones have ended up that way as well. All prices are current as of posting, they may be different by the time you see them. I’m not actually sure that’s the name of this case as the makers have spewed keywords throughout the product name on Amazon. Anyway, I ordered this prior to getting the 6 Plus, as Spigen was one of only a handful of makers ready to go. The case is fairly lightweight, has a decent but not amazing grippy matte texture, and doesn’t add much bulk to the device. It doesn’t cover all edges, leaving the top and bottom mostly open, which you might see as a plus. It didn’t bother me, but I’ve discovered I prefer something that keeps the lines of the device consistent as much as possible for aesthetic reasons. Buttons are available through cutouts in the case, but aren’t completely exposed either as with some smaller cases. As such, it’s a little tough to get on and off, but that’s not necessarily a bad thing; if you plan on leaving it on, it’s a nice tight fit. It’s on the lower side in terms of price, so if you pick it up and don’t love it, you won’t hate yourself either. Of the cases I currently have, it’s probably my favorite overall. Immediately differentiated by its higher price, Apple’s own rubbery case has some advantages. It fits the device perfectly–it’s really quite nice. The texture is great, although it is a total magnet for pocket lint. On the topic of pockets, because of its texture, I never feel like the phone might slide out in some unexpected way. Button actions are very rewarding and feel great, although everything except the ring/silent switch is covered. The single largest downside to the Apple case is that while it feels amazing, it does add the most size to the device. It’s a worthy tradeoff if you like the way it feels, but it’s the largest of the ones I’ve tried. That said, it’s not terribly large, like an Otterbox, so don’t worry too much if you end up going for it. (As an aside, I tried the leather case on other people’s phones, and while it would solve the lint problem, I prefer the grippy feeling of the silicone.) I am noticing however, that as I use the case, it’s starting to weather significantly. There are scuffs and dull/shiny spots now where I guess I’ve applied pressure or wear, and while it doesn’t bother me at all, it’s worth mentioning that it happens fairly quickly. I’ve been a big fan of the Incipio Feather line for a while now. They won’t really protect your phone from much more than scratches, but they are usually extremely thin and light. Not so with the 6 Plus case. For whatever reason, this particular Feather case feels bulkier than any of the others I’ve ever used. It’s most similar to the Spigen case, but slightly thicker plastic (which, if you want a bit more sturdiness, I suppose is a positive) which doesn’t add bulk per se, but adds a bit of weight strangely. The button cutouts are completely accesible, with no small pieces obscuring them, so if that’s something you look for, you’ve got it. I put this case on the phone for about 30 seconds, before putting it right back in the packagaing and going back to the Spigen, which is almost identical in shape, but lighter. This one was mentioned to me by fellow thin case obsessive Ian Reed Kesler who has been instrumental in my continued pursuit of case perfection this year. It’s super cheap, and super thin. It’s barely larger than the phone itself. I was actually surprised by its minimal nature. However, it’s a soft case, which means it’s not very tight around the edges. Holding the phone, you won’t really notice it, but when you pull it from your pocket, the lip will move ever so slightly, making you insane every time (not murderous rampage insane, but if you notice it at all, it’s likely to make you nuts). It’s shiny, which I don’t care for, but I imagine with sustained use it’ll dull up, which might be an improvement. But if you haven’t picked up on it, the theme here is thin and cheap. It’s about the price of a sandwich, so if you’re curious, it’s not a big deal. If you’re looking for ‘almost invisible’, this is for you. I ordered this a few days ago and it ships from Hong Kong. I think it’s going to be a while before I get it, but it looks tremendous. While grabbing links for this post, I came across this one. It’s in my Amazon cart and looks similar to the Shumuri case, but at a much lower price. It’s not a soft case, but a very thin hard case, so I’m definitely curious. [Update 11/06/14] I received the Pasonomi case last night from Amazon, and was disappointed to discover that it is literally the exact same case as the Maxboost skin. I thought it was going to be a harder plastic, but it isn’t. Still waiting on the Shumuri (fingers crossed). [Update 11/16/14] In talking about cases on Twitter, someone mentioned the Caudabe Veil, which I’d heard about earlier in the week. Someone from their support team reached out to me and is supposed to be sending me some samples. I received my Shumuri case in the mail early last week and it is the thinnest thing I’ve ever seen. It’s basically like rice paper that you wrap around the phone, it’s amazing. Unfortunately, the grip is a little lacking for me, and feels only slightly less slippery than the phone by itself. I think it’s a complete feat of engineering, but I don’t think I’ll use it day-to-day. I also buckled and picked up the Apple leather case earlier today when I was at the mall. It’s way better than the silicone model. Lighter, thinner, more flexible. Slightly less grip right now, but I imagine as the leather wears, that may change. Everyone told me how great it was, but I was pretty stubbornly insistent that I preferred the silicone one. Guess I should know myself better by now. This is my current case. [Update 02/02/15] I never actually received the Caudabe case to test out, and I was too lazy to pester someone about it. I picked up the Totallee Scarf, $13 a little while ago, which is very much like the Shumuri case, but a tiny bit more rigid and with a little extra texture. As of right now, this is what’s on my phone. I left the Apple Leather case a few weeks ago to try it out and I’ve been enjoying it. I’m still searching for the perfect one. As thin as these super thin ones, but with a rubbery grip. I’m beginning to think it’s my unicorn. Everything with a rubbery grip is thicker and heavier, which may simply be the result of the manufacturing. I really would love something with the thinness of the Scarf or the Shumuri, but instead of smooth matte texture, a grip like the Feather or Spigen Slim. Of course there are plenty I haven’t tried, but I didn’t claim this was going to be exhaustive. I’d love to hear if there are other notable thin cases you like though. Give a shout on Twitter.